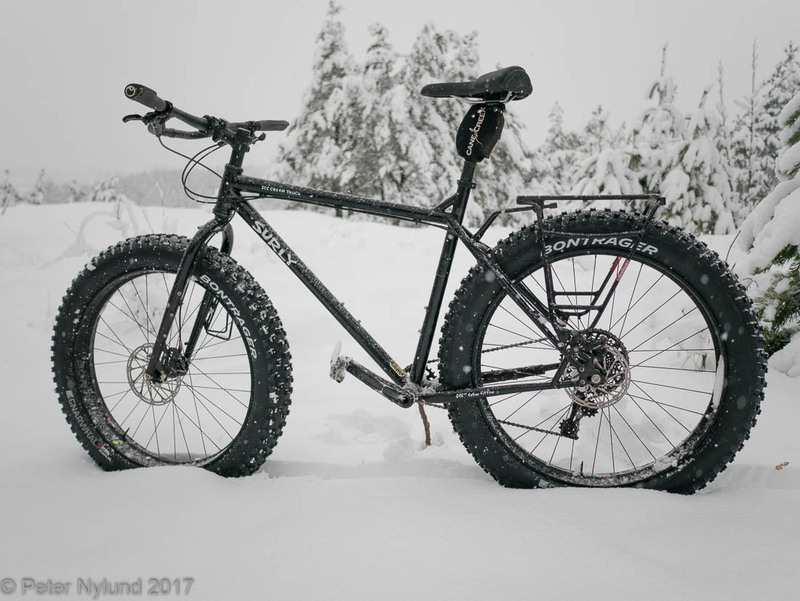 About a year ago I had put together a nice Surly Ice Cream Truck build with the biggest fatbike tires available. It was preceded by some waiting for an even bigger platform, one that has not yet been realized. For those interested, that subject is discussed on MTBR here and here. The bike was nice and I did like the quite refreshing color. Unfortunately, that frame cracked in the summer. The warranty replacement frame was black, since the blue color was no longer available. The black color wasn't bad, but in my opinion not as nice as the blue one. 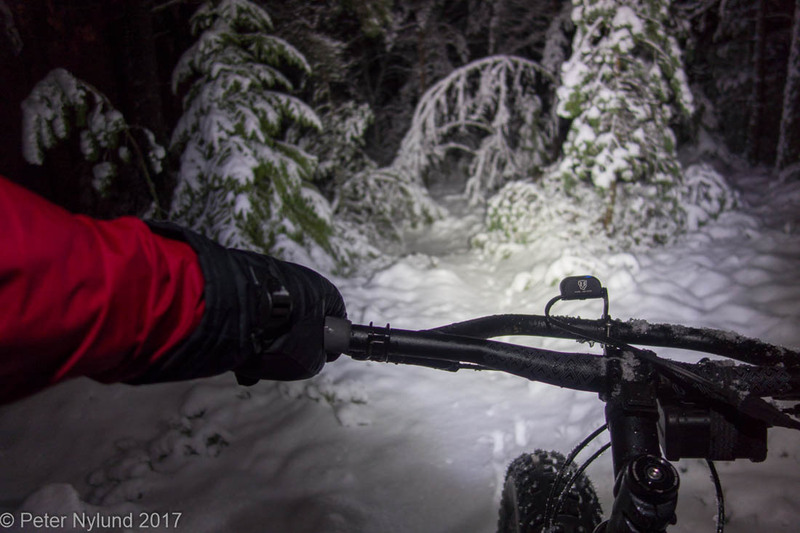 The bike was a very nice bikepacking bike for demanding terrain with the Surly Bud tires on the 100 mm Clownshoe rims. I've always been a believer in bigger wheel size, which really is a no-brainer for someone my height. I had a rather nice Canyon ES full suspension bike ten years ago, with fantastically performing Fox suspension fork, but always felt that the 26" tire size was too small for me. Encountering the smallest pine cone caused an immediate OTB if one didn't prepare for it (I'm exaggerating a little here). Hence I moved to the 29" format several years before it became mainstream. Since then the world has seen the 27.5" format becoming mainstream. I also have a 27.5+ full suspension bike with 3" tires and I still feel that wheel size is too small for me. I'd rather have a 29+ full suspension bike, but those are not available for a reasonable price. Anyway, the new thing is the 27.5" fat wheel size. 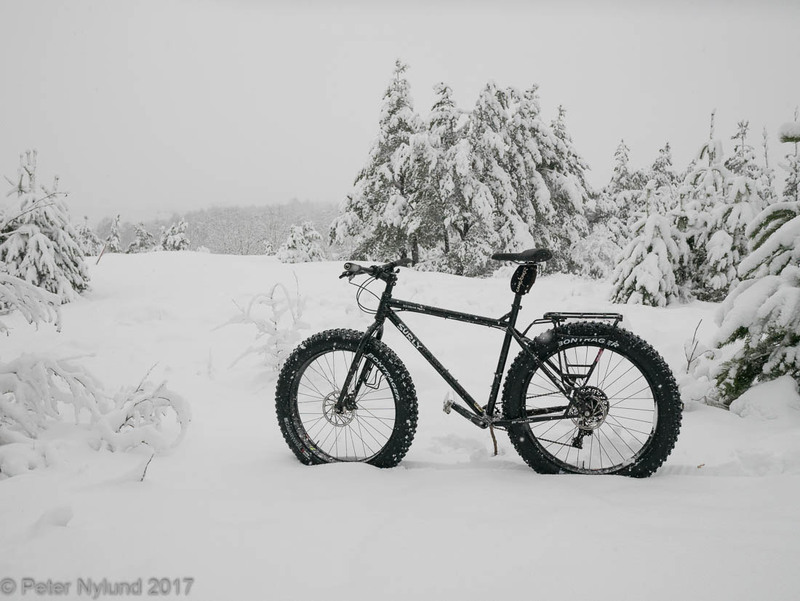 I've been following it for some time, and while the first tires were severely undersized, things have changed with the 27.5x4.5 Barbegazzi and Gnarwhal tires. 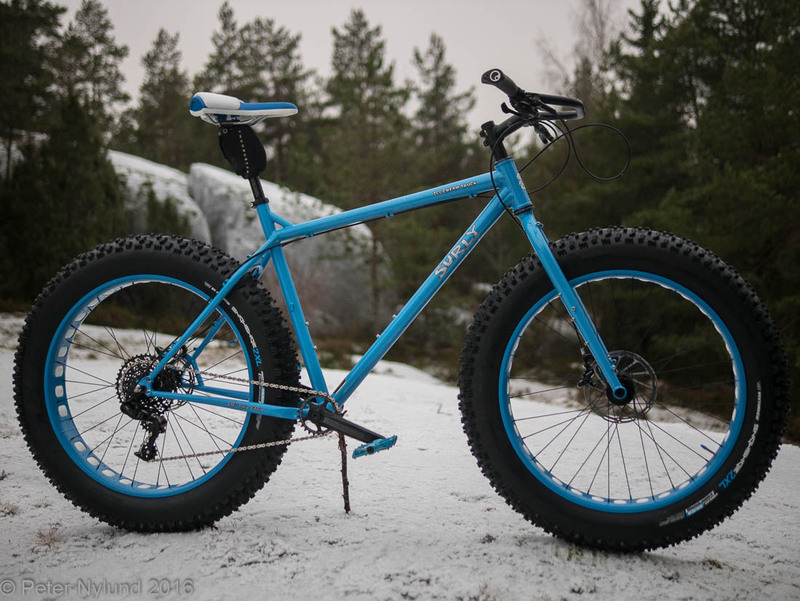 My intention was to have a wheelset built with Hope hubs and 80 mm Mulefut rims by my LBS, but then I saw a Bontrager Jackalope wheelset at a sale in a Finnish shop and ordered it. Also 80 mm rim width and with presumably the best tubeless interface available. I also got the Gnarwhal tires and studded them with Schwalbe studs, mounted them tubeless (extremely easy with Bontrager tubeless ready rims and tires). And thus Mk. III of the bike was ready. 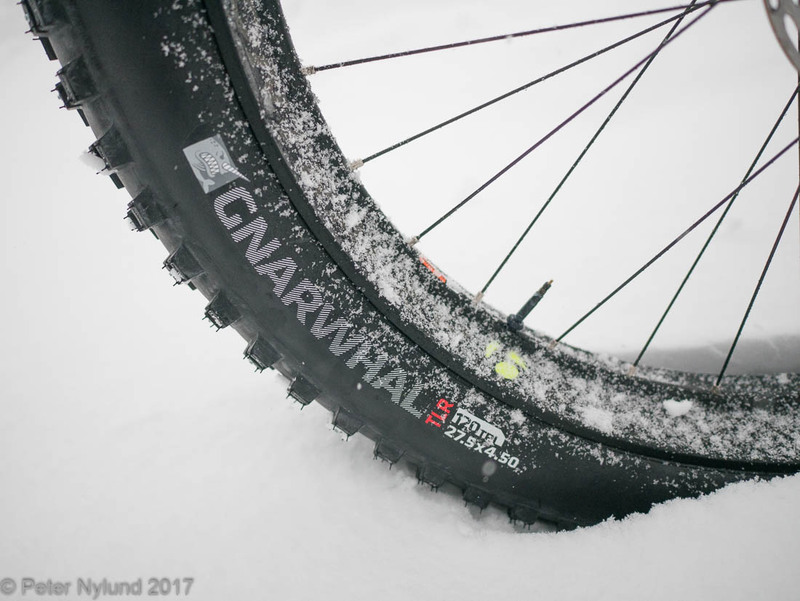 Bontrager Gnarwhal 27.5x4.5" tires. The tires are a bit narrower than Surly Bud on 100 mm rims. The studs and fairly coarse knobs give an excellent grip. The tires are clearly higher than Buds on 100 mm rims, but a bit lower than 2XL on 100 mm rims. I have pondered selling the Clownshoe/Hope wheelset, but looking at the used gear prices I'm no longer convinced. 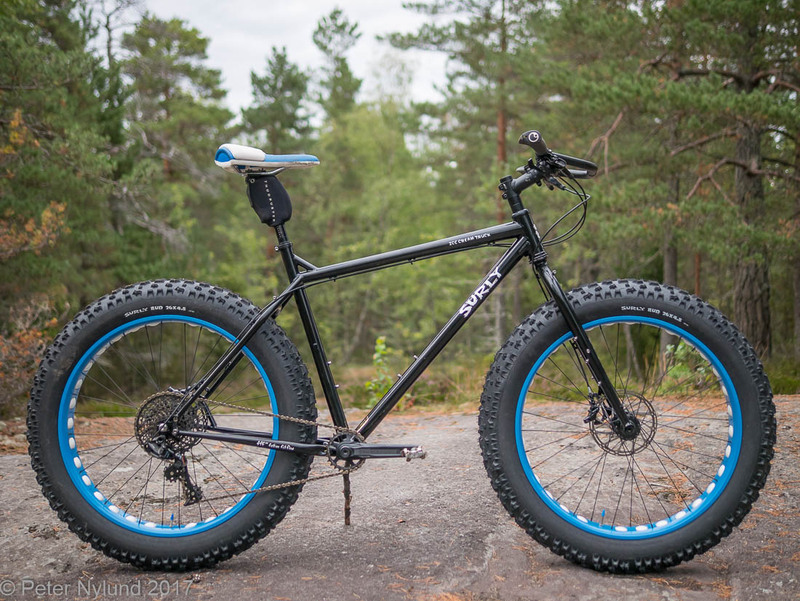 Maybe it would be worth keeping it for the 2XL tires and have them mounted tubeless, something that demands a bit of work with neither the rims nor tire being tubeless ready. 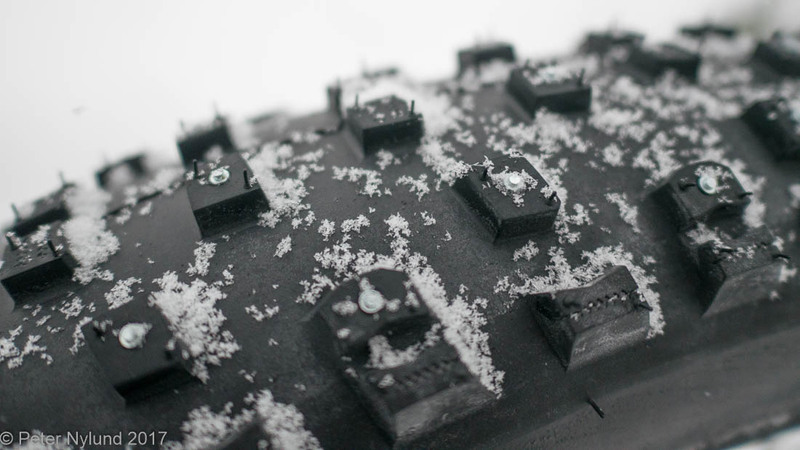 I'm however fairly convinced that the summer tires will be the 27.5x4.5 Bontrager Barbegazzi, purely based on theory. 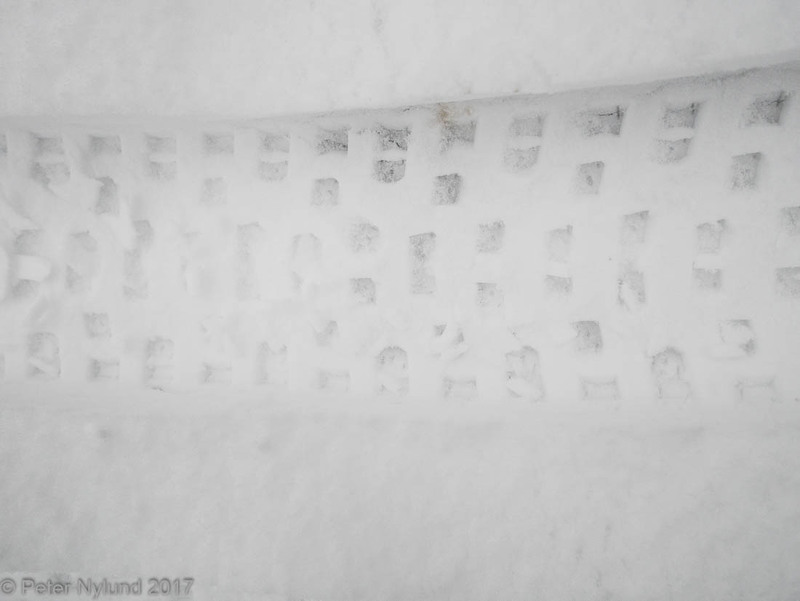 At the time of writing I only have a few hours on these new tires, and cannot say much about them. The grip is excellent, but they don't roll that well, though I'm still fiddling with the pressure. About 5.5 psi in the back and 5 psi in the front tire seems to be fairly good, unless maximum floatation is needed.